The holiday season is in full swing, which means we are all up to our heads with a million things to prepare for the festivities, but when all is done and ready, we can finally relax and enjoy the celebration of giving and receiving. For us gamers, we enjoy receiving games that developers have lovingly given us, which may have you pulling your hair out if you've been impatiently waiting to unwrap all those goodies that released in November. Now, I try to keep my giddiness in check when opening presents, but I'm sure most of you will agree that although clothes, movies and other gifts are all well and good, it's the games we're all looking to unwrap. Try to imagine the holidays before video games came along; it sounds pretty boring, doesn't it? 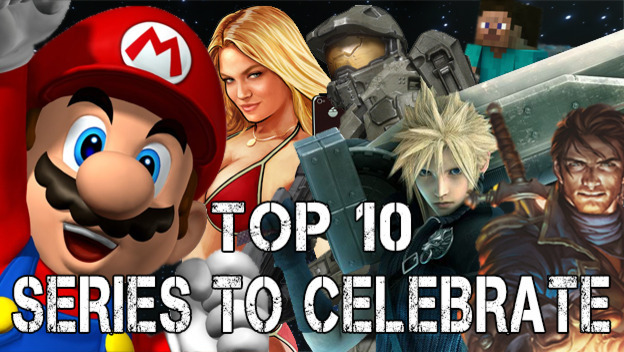 So in this time of revelry, let's celebrate ten of the biggest series that made an impact in the industry, and evolved gaming as we know it.